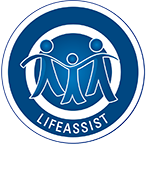 The training methodology at LifeAssist is to transfer knowledge and skills through interactive and experiential learning. Training workshops are designed in consultation with the client. The scope of training is only limited by our field of expertise that spans behavioural science, finance, health and wellness. We will also work with you to design and tailor-make a training workshop suited for your organisational needs.